You are here:Home » Health / Wellness » Hair Transplant Turkey Giveaway Winners at Luxury Haven! 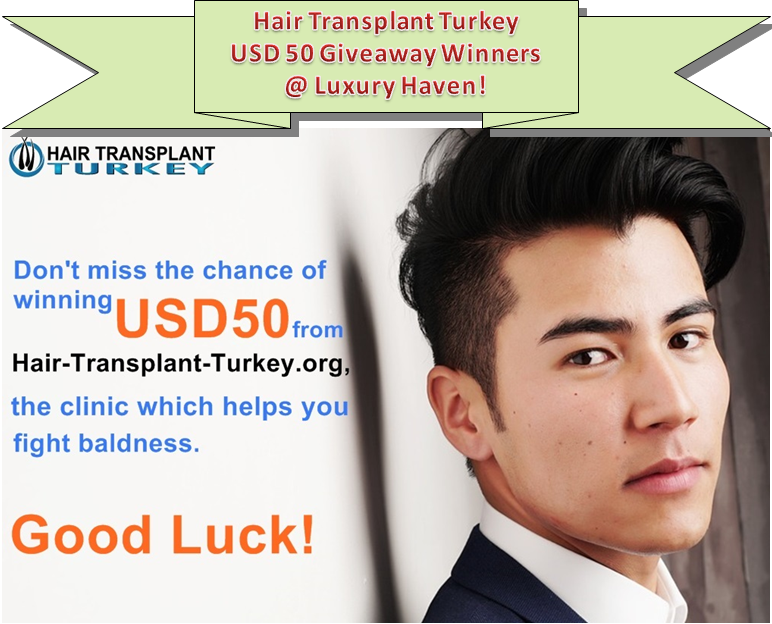 After posting your comments below, please follow up with an email to luxuryhaven [at] hotmail [dot] com, with your Name, Email, Bank Account + Bank Name + Swift code or Paypal account for Hair Transplant in Turkey to credit the prize money. *For a speedier transfer, credit via Paypal is best so kindly provide us with your Paypal address. Your details will be submitted to the sponsor when all winners have responded. Luxury Haven will not be responsible in the event your prize is not fulfilled. The winners who have met all Giveaway requirements are randomly picked via the Rafflecopter widget. All decisions are final, and no correspondence will be entertained as participants are expected to read the T&C clearly before entering the Giveaway and follow the announcement closely. 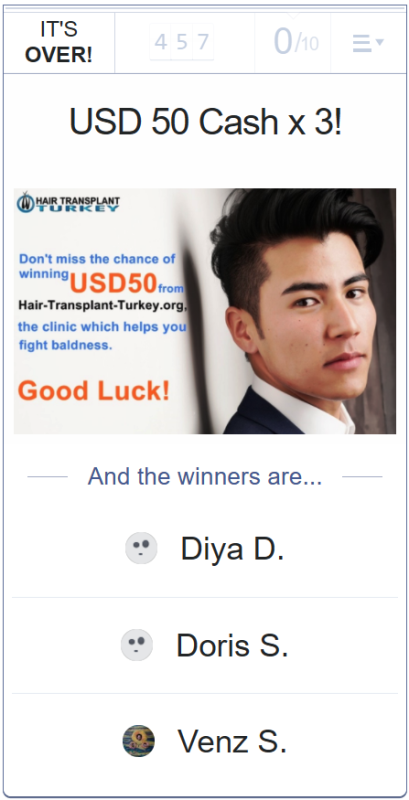 * This is a sponsored post by Hair Transplant in Turkey. The author only recommends products or services she uses personally which she believes to be beneficial for her readers. Views and opinions expressed in this blog are purely by the author. Wow what a great contest, congrats to all the winners. Thank you very much! Shirley..shall send you my details shortly. Just dropping by to wish you a Happy Chinese New Year to & family, Shirley!